Time for a fresh pair of shoes? In this buyer’s guide, we’ll review the top 10 best turf soccer shoes on the market in 2019. We’ll also look at shoes for wide feet as well as some cheaper options for those on a budget. 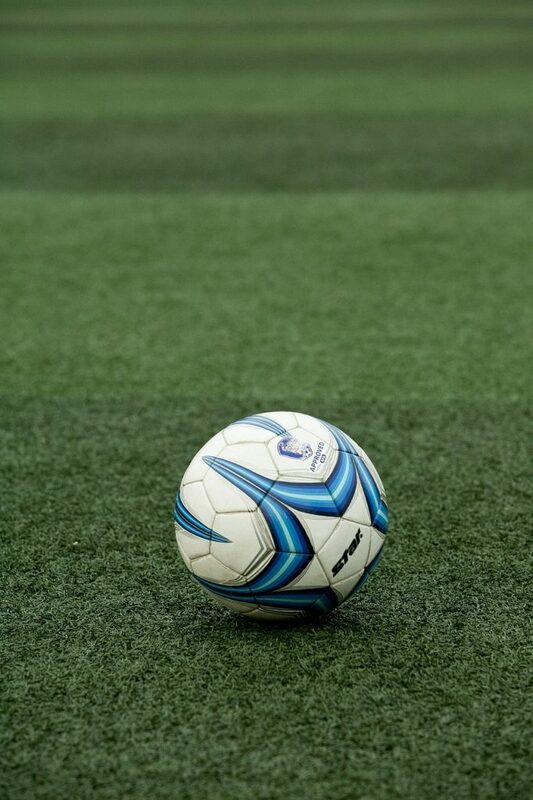 After that, we’ll outline some key things to consider when buying soccer cleats for artificial turf. No time to spare? Use this table to quickly compare our top picks. First, we’ll review the 6 best turf soccer shoes in terms of comfort, control, durability, and feel for the ball. Looking for cheap options or shoes for wide feet? Tap to jump to the relevant section. Ever since the release of the infamous Copa Mundial cleat back in 1979, Adidas has been the boss of the kangaroo leather soccer shoe. The Performance Mundial is basically Adidas’s version of the original Copas made for artificial turf. It comes with short studs and a rubber outsole, which provides excellent traction on synthetic grass. Even if you use these shoes on hard dirt surfaces, the grip won’t begin to fade for a year or more. Considering that these shoes are made of kangaroo leather, they’re actually very durable. They don’t wear down quickly like some other cleats that use a natural outer material. This is in part because the inner lining is synthetic, providing the upper with an added layer of protection. But the best thing about these shoes is their feel for the ball. The kangaroo hide offers sublime control and an amazing first touch. Plus, it responds well to passes, and provides good feedback when shooting, allowing you to more quickly improve your technique. The only real downside to the Mundial is its price: it’s fairly expensive for a turf shoe. But if you can afford it, it’s definitely worth the money. Surprisingly durable for kangaroo leather. Offers pinpoint passes & shots. Can be expensive depending on your size, but they’re definitely worth the money. If you’d prefer to have a synthetic shoe (or you live in California, where kangaroo leather is banned), have a look at the Predator 19+. Like the Mundials, these shoes are designed for comfort and control. The synthetic knit material hugs your foot, meaning less rubbing, fewer blisters, and a better feel for the ball. Adidas has also used what they call a “Controlskin” upper, which means that the shoes break in almost instantly – molding to the shape of your foot on the first use. As a result, you can avoid taking heavy touches when dribbling and control long balls with ease – even when you first get the cleats. Shooting and passing also feel great in these shoes. The main benefit of synthetic material though is how durable it is. Unlike leather, it’s not going to wear out for a long, long time. The thing to look out for is the seams splitting – particularly the one that keeps the rubber outsole attached to the rest of the shoe. However, with Adidas cleats, you shouldn’t have any such issues for at least a year of consistent use. The German company makes some of the most durable shoes on the market at the moment. The Predator 19+ is relatively expensive though – you’ll pay a premium for this build quality. Do note that this shoe has a laceless design, which can take some getting used to if you’ve never used laceless shoes before. This helps to keep your foot locked in place, eliminating internal slippage, and also makes it easier to control the ball with the top of your foot. It’s crucial to get the right size though, since there’s no way of adjusting the fit without laces or a tongue. Comfortable – breaks in quickly. Nike loves to include what they call a “Dynamic Fit” collar on their more expensive cleats. Although Adidas has a similar feature on some of their shoes, Nike’s version is a bit longer. This collar can help to improve ankle support and make your foot feet more secure, especially when sprinting, but it may take a little getting used to if you’ve never had shoes with this feature before. Some players love to have it, but others prefer a more traditional feel. Another benefit of the Dynamic Fit collar is how it replaces the tongue. Since the top of your ankle is held in place by the sleeve, there’s no need to have a tongue to prevent movement when dribbling and changing direction. Once you’ve secured your foot in place with the laces, the fit is incredibly snug. This means your first touch will be excellent, but you’ll need to be absolutely sure you’re getting the right size. For wingers who like to cut inside, or midfielders who love to shoot from the edge of the box, this is a fantastic cleat. Not only does it offer great control when dribbling, it also comes with ridges on the instep for improved grip when shooting and passing. This means it’s easy to curl the ball, and you’ll experience fewer slices/mishits when it’s wet and windy. The MercurialX Victory VI is also priced pretty reasonably for such a nice all-round shoe. It’s not quite as durable as Adidas’s synthetic options, but you should get at least a full season or two out of them if you play/train two or three times a week. Super snug, meaning better control and fewer blisters. Great stability, even when sprinting & turning. Good grip, both on the ball and the turf. Love Nike’s shoes, but not a fan of the Dynamic Fit collar? Have a look at the regular MercurialX Victory VI. Since there’s nothing wrapping around your upper ankle, these cleats feel more like regular soccer shoes. They break in fairly quickly, and have an old-fashioned tongue, so you have more freedom in choosing how tight you want to wear them. The downside to this is the fact that the shoes aren’t as snug as the Dynamic Fit version, so dribbling is a bit more clunky. However, this means that the cleats are more forgiving size-wise – if you order them a bit too small, you’re less likely to develop blisters than with tongueless shoes. Enough about the fit: how do they perform? The Victory VIs are very light but also quite grippy due to the rubber outsole, which allows for explosive off-the-mark speed. These shoes also have the same ridges on the upper as the Dynamic Fit model does, which are perfect for shooting and passing. The top is fairly padded (because you get a proper tongue), so it’s easy to make a great first touch. In our opinion, the price is a bit much considering this isn’t a Dynamic Fit shoe. However, it does come in a heap of awesome styles (that purple/black is 🔥🔥). Grippy & light – great for dribbling. Offers great shot & pass accuracy. Traditional fit – a solid all-rounder. If you’re looking for cleats with an ankle collar but want something super durable, Adidas makes a shoe that could be just what you need. The Adidas Nemeziz Tango 18.3 has fabric that comes up to the start of your ankle. However, this collar is quite a bit shorter than it is on the Victory VI Dynamic Fit we just looked at. Combined with the stiff heel, this design makes for a shoe with excellent support and stability when sprinting at top speed. The rubber outsole offers superb traction, meaning you can run, stop, and turn on a dime without fear of slipping over. Unlike most of Adidas’s top-of-the-line cleats, this option actually comes with laces. However, it still fits nice and tight, meaning it has an almost barefoot feel when worn. The upper is nice and soft, allowing you to make a deft first touch every time you receive the ball. Plus, since this material is synthetic, it’s very durable. The bright orange still stands out after months of use. If you’re not looking to attract attention to yourself, these shoes also come in a slick dark blue colorway. Although they can be slightly expensive in some sizes, these cleats are definitely worth the money if you want that extra edge on the field. Nice fit – comes with laces. Very snug – offers good ball control. Excellent ankle & heel support, but the collar isn’t too long. Puma’s turf shoes stand out because the company likes to make their studs a bit shorter than Nike or Adidas. In wet conditions in particular, this can lead to the odd slip due to reduced traction. However, shorter cleats allow for better agility, as it requires less effort to begin each step. The Evopower Vigor 4 is also great in that it’s generally a bit cheaper than what other brands offer (depending on what size you get) in the premium turf shoe market. Despite this, it performs very well on the pitch. The synthetic leather is fairly soft, which makes it easier to trap long balls. Puma’s upper material is also quite durable – these cleats will definitely last you an entire season or longer, even if you use them more than once a week. Because this is a slightly cheaper shoe, you don’t get the fancy stuff that Adidas and Nike offer. There’s no ankle collar, and no dimples/bumps on the upper for increased grip when shooting. Ultimately, if you’re looking for a fairly basic shoe that’s cheap but won’t fall apart in a few months, the Evopower Vigor 4 is a great pick. Very agile due to short studs. Soft but super durable upper. Can feel a bit slippery in wet conditions. Now we’ll take a look at the best turf soccer shoes in terms of value for money. It’s quite rare to see leather shoes at this price point! 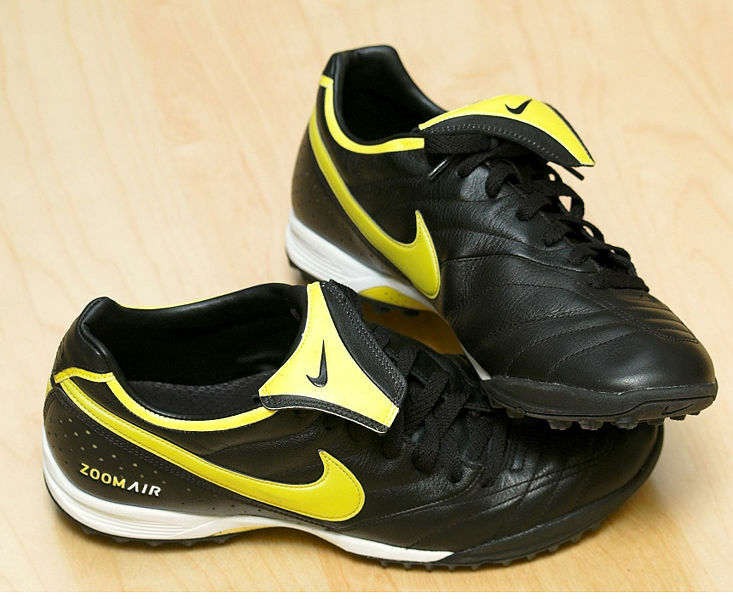 The Nike TiempoX Genio II is relatively cheap because it’s an older-generation cleat, which has since been superseded by newer Nike models like the HypervenomX and MercurialX. It’s not the lowest-priced shoe in the market though, because you get that little bit of extra quality (due to the leather) not seen on $30 cleats. They’re cheap, but not cheap and nasty. Nike’s kangaroo leather upper offers an excellent feel for the ball that synthetic materials simply don’t have. Dribbling, passing, and shooting feels great, and it’s super easy to make a light first touch. Plus, these shoes are incredibly comfortable and break in very quickly. They have a traditional feel and fit, and are great for players with wide feet. However, this leather isn’t incredibly durable. It can wear out pretty quickly (within a season or two), but will still feel great to wear as long as you keep these cleats away from dirt. Overall, if you don’t want to break the bank buying soccer shoes but need comfortable cleats with excellent control, the Genio II is definitely worth a shot. Awesome control & feel for the ball. Great price considering the upper is made of leather. This is an excellent budget option. What Joma have done is produce a simple shoe without sacrificing quality and durability – finding a balance which is hard to achieve. They’ve done this by pricing this shoe at around $15 more than the cheapest shoes out there, allowing them to use better materials in the manufacturing process. Despite the reasonably low price, this is still a comfortable shoe. The heel feels supportive and doesn’t rub against your foot, and the cushioned insole offers plenty of padding. The Dribling is also pretty durable considering what you’re paying. Provided you aren’t wearing them every single day, you should expect to get at least a full season or two out of these shoes. What’s more, they come in a few different colorways, and although they may look a little stiff in the picture, the outsole is reasonably thin. As a result, this shoe is flexible enough to get you off the mark quickly when sprinting. If you’re on a budget, or you’re a beginner player who doesn’t need fancy cleats, the Dribling is a great option. The only downside we have to mention is the lack of features designed to improve your shooting, passing or first touch – this shoe doesn’t have a padded tongue for example. However, this isn’t a big deal for most players. Great durability considering what they cost. Flexible – feels good when running. No bumps, dimples or ankle collar. In this part, we’ll review two great artificial turf shoes for soccer players with wide feet. Diadora is truly the king of the wide soccer shoe. Unlike Nike and Adidas, most of their cleats aren’t super narrow, making them suitable even for those with “EEE” size feet (the widest possible measurement). Their Capitano cleat is no exception. The other thing that sets this shoe apart is how well-padded it is. The upper is quite thick compared to most other cleats. As a result, it’s a very durable shoe, and offers a decent amount of protection if you get kicked or trodden on. However, this padding can affect your feel for the ball. These cleats can seem a bit clunky, so you might struggle to take a soft first touch sometimes. Despite this, the Capitano is great for shooting, especially when trying to beat the goalkeeper with pace. 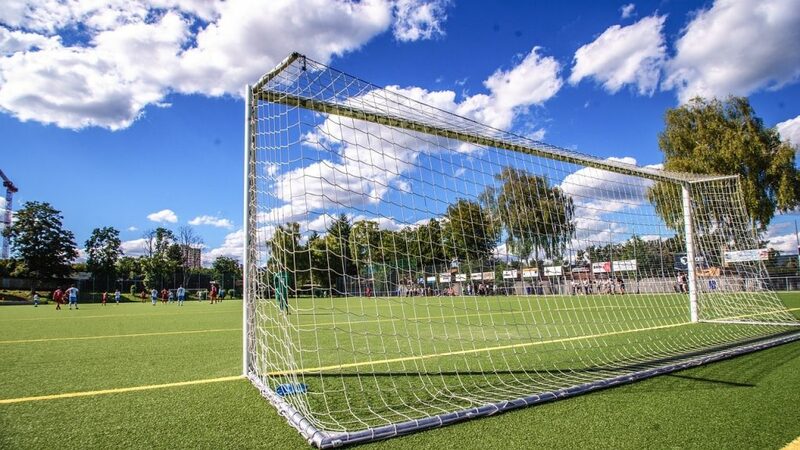 Considering how short the studs are, they offer good grip on artificial turf and even work well on hard natural fields. These shoes are also quite nimble, meaning you can make sharp turns very quickly, allowing you to beat your man (or keep up with him) more consistently. For such an excellent turf shoe, the price is amazing. If you need something a little wider, the Capitano is a fantastic pick. Fits nicely even if you’ve got incredibly wide feet. Padding is great for shooting and offers good protection. Good grip even on hard/dry natural turf. Can feel a bit clunky due to the thickness of the upper. We weren’t joking when we said Diadora were the kings of the wide soccer cleat. The Maracana 18 is another excellent turf shoe with a wider than normal midfoot and toe area. So what’s the difference between the Capitano and the Maracana? The Maracana is basically a more expensive, higher quality shoe. This cleat comes with a natural leather upper which isn’t too thick, meaning it offers excellent control when trapping the ball, dribbling, and passing. Surprisingly, this material is pretty durable, especially if you only use it on artificial turf. The kangaroo leather also super comfortable, and the traditional fit means you won’t feel squished even if you’ve got wide feet. Plus, the insole comes with an EVA foam layer, meaning it’s super soft and easy on your sole. The outsole also offers good grip, as you’d expect from a Diadora shoe. If you’ve got wide feet but play soccer fairly seriously, it’s worth investing in this pair of cleats. Although they’re more expensive than the Capitanos, they’re still reasonably priced, especially when compared with Adidas and Nike’s turf shoe offerings. For the extra money, you get a more comfortable shoe that offers a much better feel for the ball. Leather makes it easier to control the ball and make accurate touches. Very comfortable – even for those with wide feet. Fairly durable for a leather shoe. Slightly expensive, but worth the cost in our opinion. Photo by Juha Makkonen licensed under CC-BY-SA 1.0. In this part, we’ll show you everything you need to know when buying turf shoes for soccer. Soccer cleats, as the name suggests, have long cleats (sometimes called studs) on the sole of the shoe. Typically, you get around 8-12 of these per cleat, and they’re around 1/2-1″ long. 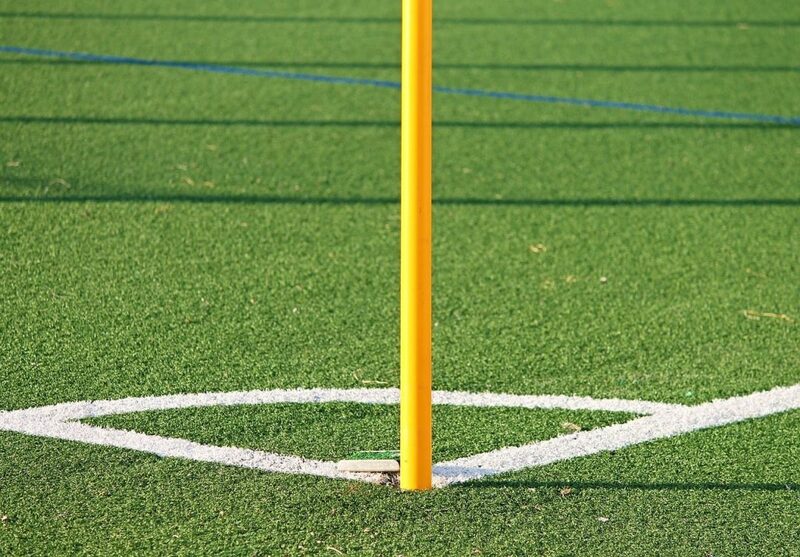 Soft ground studs are made of metal while firm ground cleats are made of plastic. As a result, soccer cleats have good grip on natural turf, even in muddy conditions. On the other hand, turf shoes are designed for use on artificial turf, hard dirt, and sand. They come with a much larger number of very small rubber studs, which aren’t meant to dig deep into the ground, unlike traditional cleats. These smaller studs are tough enough to retain their shape after hundreds of hours of play on firm surfaces (if you buy the right shoes!). Indoor soccer shoes are quite similar to turf shoes, but they don’t have any studs at all – the sole is normally flat, with a few shallow valleys/channels for grip (like you get on sneakers). This is because futsal is played on hardwood or concrete, so there’s no need for additional grip with a rubber sole. Adidas and Nike are the two unequivocal market leaders in producing soccer cleats and soccer shoes. They can be more expensive, but you often get what you pay for – comfortable, durable cleats that offer a better feel for the ball. However, there are a few other brands out there that also make fantastic turf shoes, often for a much lower price. If you don’t want to spend top dollar, be on the lookout for cleats from companies like Diadora and Puma. No matter what, never buy from brands you haven’t ever heard of (apart from Diadora and Puma). At the moment, there are a ton of cheap knockoff cleats on the market from Chinese brands looking to emulate Nike and Adidas. For the most part, they’re poor quality, uncomfortable, and just not worth the money. If you need your shoes to last for longer than a few games, stick to reputable brands when buying turf cleats. Most sellers will include a handy size guide which you can use to find your size if you’re shopping for shoes online. If you don’t see it on the main item page/listing, a quick Google search should be able to locate it for you. Make sure to check the shoe’s reviews though. Other customers will be sure to tell you if a shoe fits small, or if it’s too narrow for those with wide feet. Using their advice, you might want to order a size up or down if the shoe doesn’t quite fit as the size guide says it should. Find two or three pairs of shoes you like the look of online. Go to a nearby sports store and have a look at them. See what they feel like to wear and how they fit. Come home and order them online (if the price is better). Remember, always go for a snug fit. Loose shoes can cause blisters and hinder your feel for the ball, making it hard to dribble and pass accurately. 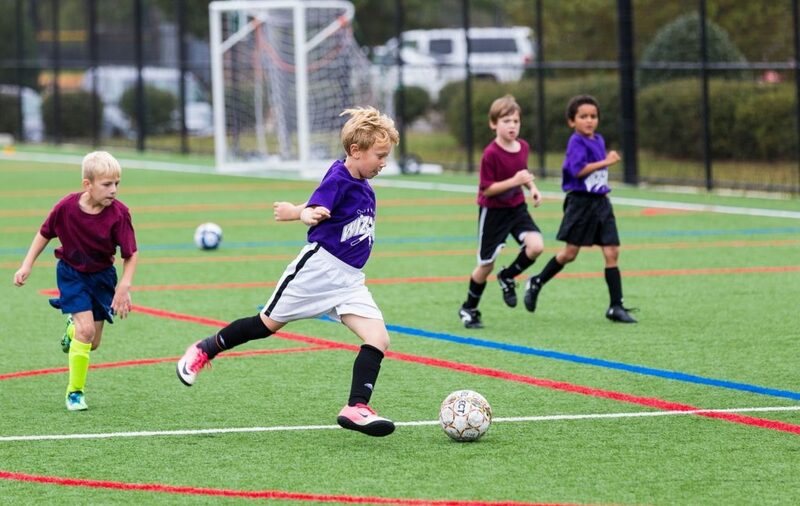 For kids, it’s not worth having them grow into a pair of turf shoes – if you go even a half size too big, the shoes may be quite painful to wear and might hinder your child’s ability to play to his or her full potential. Offset laces make it easier to strike the ball cleanly with your instep, which makes it easier to shoot and pass the ball accurately. Tongueless shoes offer an incredibly snug fit, which can improve your feel for the ball and prevent your foot moving around inside your cleat. Dimples and/or small bumps on the surface of the shoe can make it easier to control the ball and shoot accurately (due to increased grip). However, they’re just a nice thing to have, definitely not something that’s 100% necessary. Ankle collars can make your feet feel super snug and secure, and help to improve ankle stability. Some players don’t like how they feel though – they can take a little bit of getting used to. Rubber soles. For turf shoes, having a rubber (rather than plastic) outsole is essential. Other materials will wear down very easily, and won’t offer the flexibility required for quick movement. Kangaroo leather cleats are incredibly comfortable and offer excellent control when dribbling, passing and shooting (more on this below). Shoes made of synthetic materials are great all-rounders. They have a good feel for the ball, tend to be very durable, and don’t cost too much. This is why they’re so popular: most players use shoes with a polyester upper these days. On the other hand, leather tends to wear out more quickly and can cost a bit more. However, animal hide offers a simply unbeatable feel for the ball. Cleats made of this material are incredibly comfy to wear and provide excellent control. They can also stretch out a little more, which is great for those with wide feet. For kids and casual players, we’d recommend going for a synthetic option. But if you’re a serious player (particularly a central midfielder who loves to play through-balls), leather shoes are probably your best bet. The exception to this rule is those who tend to wear out their shoes very quickly. If you need something durable, it’s a good idea to avoid leather. If you’re a California resident, you don’t have a choice! Kangaroo leather (which is what they use in soccer cleats) is now banned in the state. Are expensive turf shoes worth the money? You’ll notice that Nike and Adidas make a few models of turf shoe that are $30-$40 more expensive than most regular options. But are they worth it? For your average player, and kids who are just beginning to play soccer, probably not. 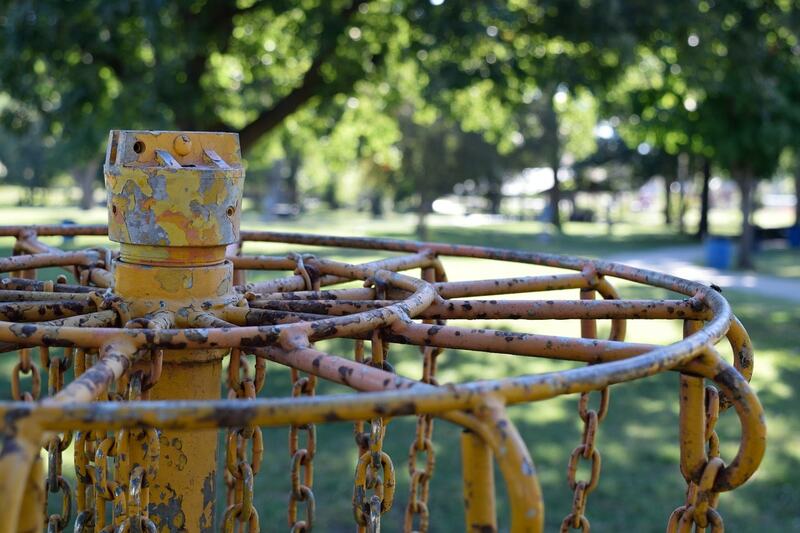 At this stage, developing the basics of your game is probably your top priority. Expensive shoes aren’t going to be of much use to you right now, but you can always upgrade later. However, if you’re in a competitive team (perhaps playing 5 or 7 a side) it pays to have the best shoes on the market. For those that play a ton of soccer, having uncomfortable shoes just isn’t an option. Not only do some of the more expensive options on the market feel better to wear, they can also improve your first touch and passing accuracy. Attackers need turf shoes with an excellent first touch, so you can control passes from your midfielders. You’ll also want something nimble (meaning, a lightweight shoe) that has the oomph required to take powerful shots. Midfielders will also want quick shoes, particularly if you play in a wide position. However, you’ll also want something with good pass accuracy and superb comfort, as midfielders nearly always cover the most ground of anyone on the pitch in a given match. Defenders might want to prioritize durability, particularly if you’re prone to having your feet trodden on. But like midfielders, you’ll want shoes that allow for accurate ground passes and long balls. Goalkeepers don’t need to worry about how their shoes perform too much (unless your name is Manuel Neuer!). Just find something that’s comfortable to wear. In saying this, your position shouldn’t be your main concern when buying turf shoes. Instead, think about comfort, durability, and value for money. There’s no point buying shoes if they fall apart in a month or give you painful blisters every match. We hope you found the right pair of turf soccer shoes for you or your son/daughter. If you still don’t know what to buy, leave a comment below and we’ll get right back to you!